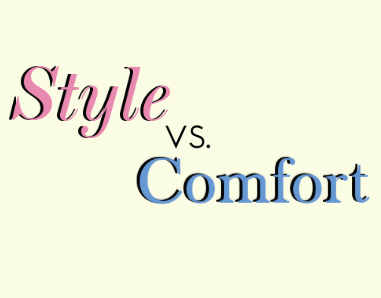 Do you love a killer pair of heels or a sassy pair of flats, but are constantly sacrificing comfort for style? I know that I often have sore feet after a long day out, or find that my feet are slipping in heels, but now there is a way to be both comfortable and stylish! 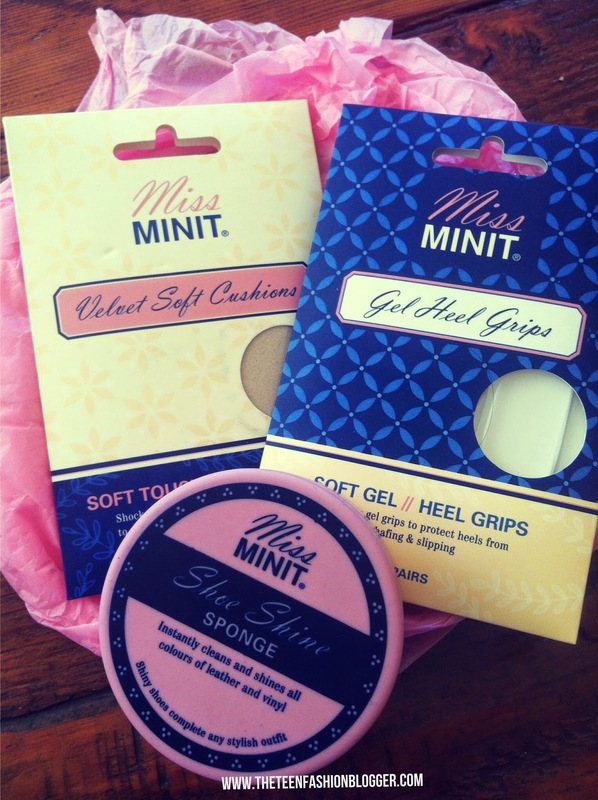 Miss Minit is the new shoe care range from well-known brand Mister Minit. The collection of products ranging from gel heel grips to polishing cloths are perfect for protecting your gorge pair of shoes as well as providing you with comfort when you walk. I was lucky enough to receive a few products to review from the collection (thank you Double Edge PR): the Gel Heel Grips, Velvet Soft Cushions, and Shoe Shine Sponge. These Gel Heel Grips are super slim so they can be fitted into your heels while looking virtually invisble. They are also perfect as they prevent heels from slipping off and are reusable and washable! All you have to do is stick them in the heel area of your shoes and voila, you're good to go! The heel grips are perfect to use for your next party or formal occasion, and can be paired with almost any kind of heels; stiletto's, pumps, and even simple strap heels. I have put together an outfit that is great for a wedding or formal party with a pair of gorgeous ankle strap heels, and I have also found three pairs of stylish heels that are super pretty - the heel grips can be worn with all of these shoes! The Velvet Soft Cushions can be placed towards the front of your favourite boots, sandals, and any other shoes, to prevent burning in the balls of your feet. They also help keep feet dry by absorbing sweat, which can prevent slipping. All you have to do is peel off their backing and stick them in your shoes. Wear them with a trendy pair of leopard print flats while running errands to look stylish while also being comfortable! The Shoe Shine Sponge "instantly cleans and shines all colours of leather and vinyl". You can use it to enhance the colour of your leather boots to make your outfit look extra put together. The sponge is also very compact and light, so you can even carry it with you on the go for any shoe touch-ups! 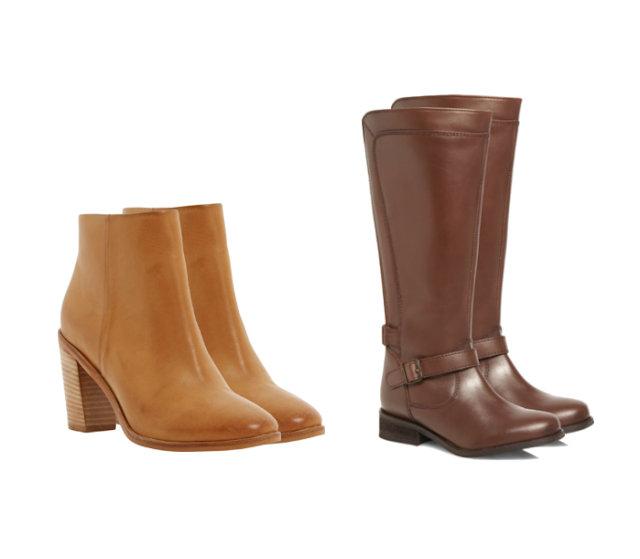 Here are two pairs of leather boots which I think are super chic! I definitely struggle with that! :P I guess I mostly go for somewhere in the middle and choose something that I'm comfortable in but still stylish. I love the jeans and the cami paired with the necklace. It makes a great outfit for a spring night out.